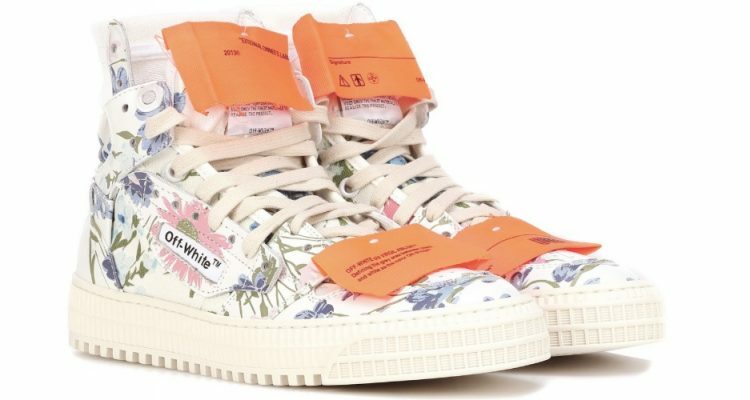 The Off-White floral leather high top sneakers feature colorful details. There’s also another footwear by the label. Off-White crafted the sneakers from white leather. It also has beautiful flower illustrations blooming across the upper in pastel tones including pink, violet, and green. 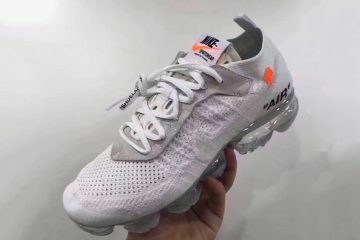 To complement the natural look, there are also cream laces. A complementary canvas panel on the heel allows for easy wearability. Moreover, the shoe features vibrant orange patches on the tongue and midfoot as well. Off-White’s signature text branding comes in black with the text “SAMPLE” stamped on the inner wall. The silhouette retails for $750 USD. 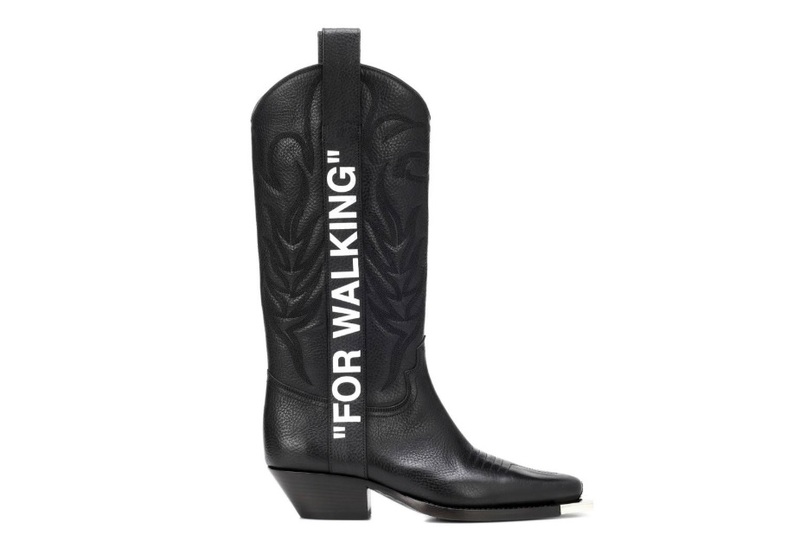 Meanwhile, Off-White also showcased the “FOR WALKING” cowboy boots during its Pre-Fall 2018 collection. It comes in a matte black hue. It presents all the traditional Western-style trimmings. This includes the silver-tone caps and a square-block heel. The “FOR WALKING” tag runs along the side of the boot in a contrasting white. To complete the silhouette’s look, there is industrial tape design in the inner portion of the boots. The boots retail for $2,290 USD. In other news, Off-White drops a red hot mini binder clip bag. It also has an adjustable industrial shoulder strap in a contrasting matte black color. 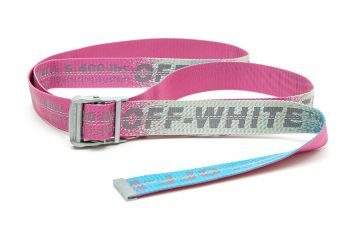 The strap features the silver Off-White branding on the reverse.